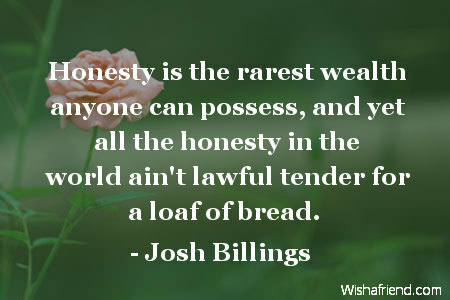 Josh Billings Quote: Honesty is the rarest wealth anyone can possess, and yet all the honesty in the world ain't lawful tender for a loaf of bread. Browse our collection of Honesty quotes and sayings. Share Honesty quotes with friends and family.